Comunicaciones Mercedes (La Liga) strengthened their roster with addition of 29-year old American forward Darnell Dodson (201-89, college: S.Mississippi). He started the season at Osorno Basquetbol in Chilean Liga Nacional. In 18 games he recorded very impressive stats: 23.5ppg, 12.5rpg, 1.7apg and 1.9spg this season. The last summer Dodson played at Cancer Plus 1 in U.S. semi-pro league TBT. In 2012 he was drafted by Fort Wayne Mad Ants (D-League) in fourth round (60th overall). 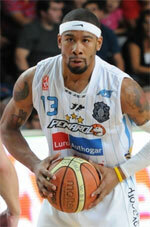 The former University of Southern Mississippi staris in his seventh season in pro basketball. Dodson's college team won SEC Tournament in 2010. He is a very experienced player. 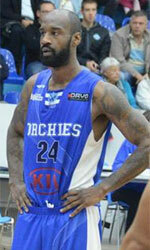 Dodson has played also professionally in France, Mexico (Panteras), Argentina (Echague and Petrolero), APBL (Alexandria A. ), Chile (Los Leones) and FBA (Miami M.).